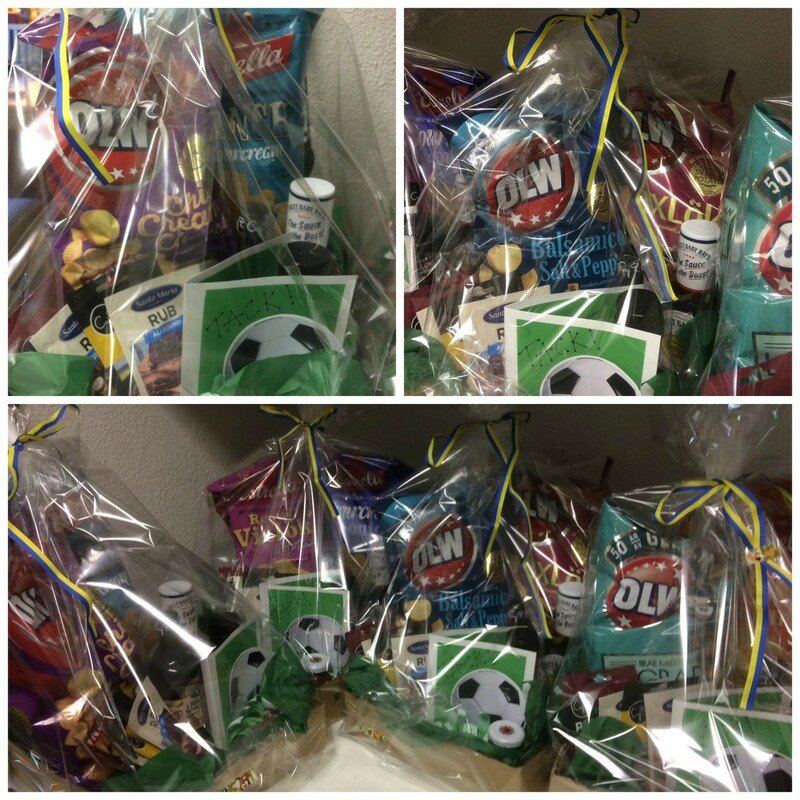 Lots of World cup goody things for grilling and munching on and a homemade card for each. hope they like their gifts! Ooh what fun.....good luck Sweden!